Auschwitz is the Nazi extermination camp in Poland for the Jewish people whom Hitler wished to eliminate from the face of the earth. This place is the well-known monument to modern-day an act of genocide. Standing in Auschwitz, one may actually feel the horror of facing, not only personal death, but the death of your entire culture and genetic heritage. Is it possible that the Rohingya Muslims are facing this same horror? This is more than a “political problem”. In the first place, we cannot comprehend why the usually peaceable Asean people, including some Buddhists have become so violent in attacking the Rohingyas within their borders, beginning by calling them illegal immigrants from Bangladesh. The border was drawn thus (by the colonial powers, as usual), and the Rohingyas reside on Myanmar territory. They cannot now be declared “stateless” by the Myanmar government. We cannot comprehend why Aung San Suu Kyii, the Burmese pro-democracy leader and 1991 Nobel Peace Prize Recipient would simply ignore the horrors of potential extermination that the Rohingyas now face. We cannot comprehend how Asean, of which Myanmar is a new member, should stand quietly by and ignore the Rohingnya plight. Can the Asean non-interference policy excuse such “looking the other way”? In any case, Asean certainly has a duty to help the Rohingyas who venture to escape, seeing no possible solution to their problem within Myanmar’s borders. And isn’t that what Myanmar wants? This is more than politics. Here is what Tomàs Ojea Quintana, the United Nations Special Rapporteur on the situation of Human Rights in Myanmar from 2008 to 2014, says about the problem: “There are elements of genocide in Rakhine with respect to Rohingya… It’s crimes against humanity. Quintana was speaking at the London conference on “Decades of State-Sponsored Destruction of Myanmar’s Rohingya” on 28 April last year. Quintana reiterated this position at the recently concluded “Oslo Conference to End Myanmar’s Persecution of the Rohingya” held at the Norwegian Nobel Institute and Voksenåsen Conference Centre in Oslo from 26 to 27 May 2015. It was at the same event that Desmond Tutu, the leader of South Africa’s anti-apartheid movement in the 1980’s, called for an end to the slow genocide of the Rohingya. His call was echoed by six other fellow Nobel Peace Laureates: Mairead Maguire, Joduy Williams, Tawakkol Karman, Shirin Ibadi, Leyman Gbowee and Adolfo Perez Esquivel. Most Muslims may be shocked that any of their Ummah should be threatened with genocide. And yet this is what the United Nations itself suggests. Article 2 of the Convention on the Prevention and Punishment of the Crime of Genocide 1948, adopted by Resolution 260 (III) A of the UN General Assembly on 9 December 1948 spells out acts of genocide, which clearly has been committed by Myanmar against the Rohingya community. The global community should initiate a massive campaign to call for a UN Security Council resolution to bring Myanmar to justice through the mechanisms provided by the Rome Statute of the International Criminal Court (ICC), since their acts in driving the Rohingnya completely away from their shores fall under this convention and the ICC. Articles 7 and 8 of the ICC set out the legal requirements for an action to qualify as a “crime against humanity” or a “war crime,” respectively. Similarly, Article 8 stipulates that a “war crime” must be committed “as part of a plan or policy or as part of a large-scale commission of such crimes,” and must constitute a grave breach of the Geneva Conventions 1949, which regulate the conduct of armed conflict. Various potential actions that would constitute crimes against humanity and war crimes are listed under Articles 7 and 8, respectively, many of which were allegedly committed against the Rohingyas in the Rakhine state. The Organisation of Islamic Cooperation (OIC) must take a stand, since protection of Muslims everywhere is within its purview. Myanmar is not a Muslim-majority nation although she is Asean, and she must be prevented from violent, unreasoned attacks on the Muslim communities there. Most of all Asean countries, Myanmar should understand that non-intervention in her domestic affairs could not hold up as long as she threatens her southern Muslims with what is now appearing to the United Nations and others as a de facto genocide, and that she will be praised and left alone, preserving the non-intervention policy, only by resolving this issue reasonably within her own borders. Otherwise, she removes Myanmar from qualification for Asean membership. Out of utter hopelessness, the Rohingnya are being driven to the status of boat refugees into other countries, or into drowning, or into mass graves as recently discovered along the Malaysian-Thai border. Even Japan and the USA are trying to contribute to a solution for these innocent, self-defended peoples. How can Muslims, and OIC in particular, do less? Stand in Auschwitz yourself and see how potential genocide really feels. It is much worse than war. Can Muslims stand idly by while such a thing occurs among them? Centre for Human Rights Research & Advocacy (Centhra) fully supports the Oslo Conference communiqué of 29 May 2015, and reiterates further its calls for a UN Security Council resolution to refer Myanmar to the ICC for committing acts of genocide. It also calls for an immediate consideration by OIC of a possible pan-Muslim intervention in this matter. – May 30, 2015. 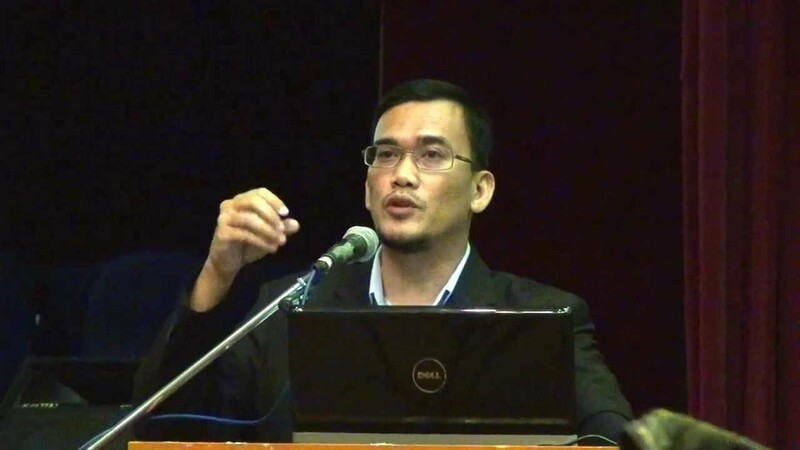 * Azril Mohd Amin is a lawyer and chief executive of Centre for Human Rights Research & Advocacy (Centhra). ** First published in The Malaysian Insider, 30th May 2015 and The Malay Mail Online, 30th May 2015.